To sequel or not to sequel, that is a franchise's question. 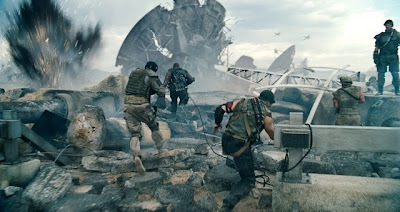 It's also one that's invariably asked of its three main participants: a) Hollywood who will always vote to sequel if the first film struck box office gold; b) the audience who must decide if they've had enough of a franchise to justify going once again; and c) the critics who need to figure out just how much preparation to undergo when reviewing yet another installment. For example, if it's a James Bond film and it's a direct sequel, it helped to view Quantum of Solace directly following Casino Royale (in understanding the plot perhaps rather than being prepared for just how dismal the follow-up would be in every way) but traditionally, we know the man named Bond and we're able to walk right on in. 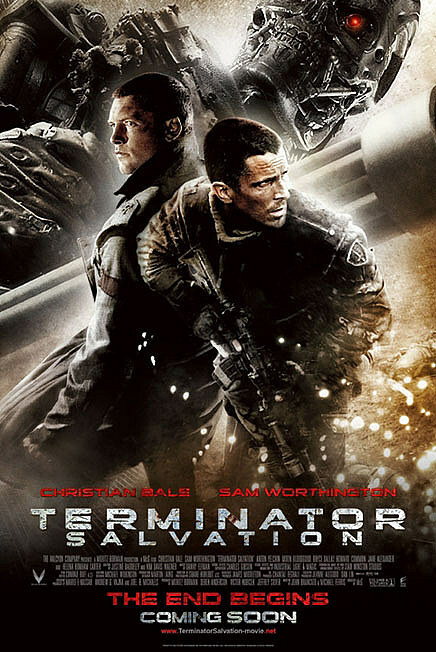 And sure, for most sequels, it's kind of fun to build up anticipation by viewing earlier titles but due to time constraints sometimes it's not at always possible and this was the case for this particular reviewer when it came time for Terminator Salvation (the fourth movie in the franchise). But allow me a moment to digress and confess as I should begin by sharing that T2: Judgment Day is one of my all-time favorite action movies. Honestly, it's a movie I still study for its beauty and brilliance, the complexity of the situations, intense orchestration of the action, and the emotional investment we feel for the characters. 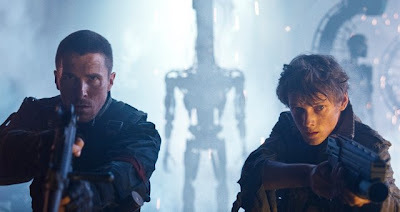 Likewise, it's one that additionally I feel elevated the franchise from its first very good--if now pretty dated-- introduction to the world of Terminators, Judgment Day, and the prophet that will become John Connor who is man's only hope for survival in a future where machines turn on us. The third film was entertaining if a noticeable step down from its predecessor in what I believe most of us assumed would be the end of the series in a nicely structured trilogy. 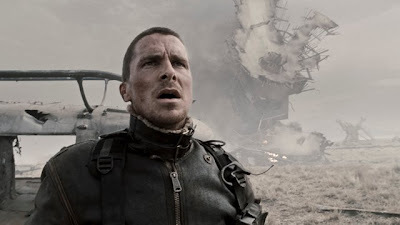 Yet with the announcement that the franchise was starting up again with director McG (We Are Marshall, Charlie's Angels) filling in for James Cameron and Batman Begins, The Dark Knight, and The Prestige star Christian Bale as John Connor-- I don't think I'm alone in admitting that it seemed like a strange fit. I mean picture this for starters-- it's the guy who instructed Cameron Diaz to dance to "Baby Got Back" in Charlie's Angels stepping in for "King of the World" Mr. James Titantic Cameron while directing the underrated, critically lauded serious thespian Bale in an action movie. Huh? Exactly. 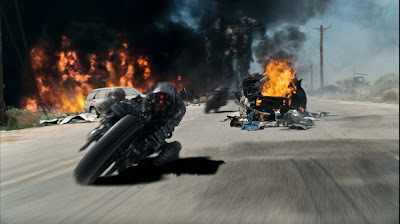 However, even after Christian Bale's public on-set tantrum-- made infamous on late night talk shows and YouTube-- as a fan of The Terminator, I was eager to see which direction this film would take us and the sad answer is that it wasn't a good one and somebody should have stopped to ask for directions. 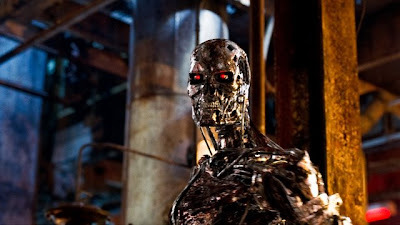 Simply put: if it walks like a Terminator, talks like a Terminator, it's essentially a Terminator which seems to have been the goal for the picture via a wooden script where actors repeat phrases that have now become iconic like "Come with me if you want to live" and "I'll be back" as though they were flippant throwaway lines. 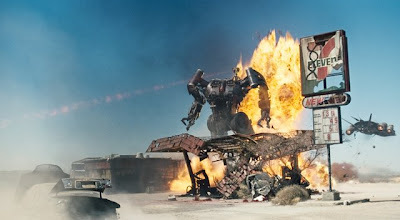 Likewise, T4 (if I may be so bold) is one that uses the franchise's incredible action sequences as jumping off points in a series of successful homages that never fail to entertain even when it draws inspiration from the unlikeliest of sources including (as I scribbled in the dark) Apocalypse Now, Jaws, Transformers, Jurassic Park, and even some of the cinematography from Requiem for a Dream. 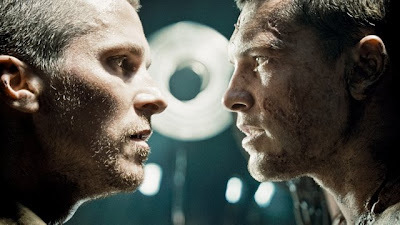 While the crashes, explosions, and fights aren't quite as impressive as they were back in the earlier days of CGI when T2 was new, ultimately as far as this film's concerned, the action is its "salvation" indeed, bridging one dull plot point to the next. With Bale virtually continuing on in his portrayal of Batman's Bruce Wayne complete with the faux comic book tough guy voice that makes me want to giggle, I wonder if the poor guy would've been better off with a longer break between summer blockbusters since he literally appears at times as though he thinks he's sliding into a remodeled Batmobile and Batpod. Of course, in The Dark Knight it worked to sort of push Batman into the shadows and bring forward the Joker to steal the movie away. 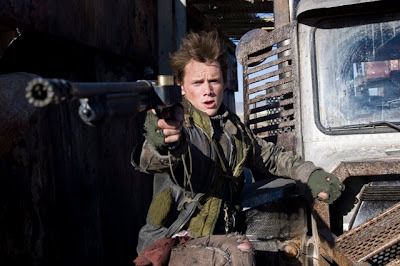 However when Bale is now playing the franchise's legendary John Connor a.k.a. the leader of the dystopian resistance that's occurred after Judgment Day hit the planet, it's not exactly helpful that he's the least charismatic and/or likable character in the entire movie. Capably going into stud-muffin action movie mode (although The Transporter's Jason Statham should rest easy knowing that Bale is zero threat on this level)-- he's nonetheless missing any emotional involvement whatsoever as he physically goes through the motions in this coolly executed, impressively choreographed, and inventively shot action film that ultimately feels like its missing its central processor. (Hmm, perhaps it needs a Windows Vista update?). 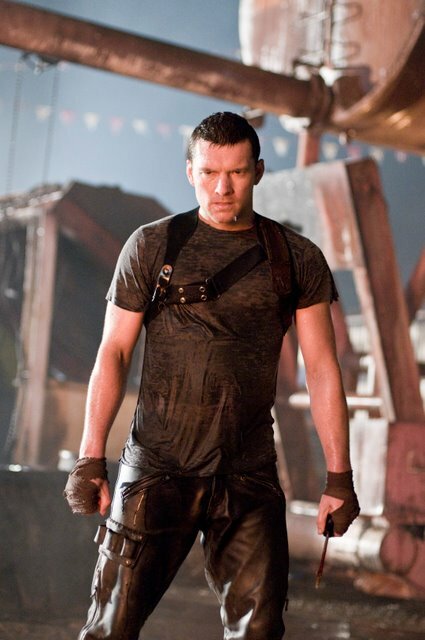 But thankfully, while John Connor bogs down his scenes without a flicker of hope (which is easily understood given the situation yet a bit confusing when his wife played by Bryce Dallas Howard is expecting a baby)-- the film's other lead Marcus Wright (Sam Worthington) unexpectedly commandeers the entire film. In an opening prologue, we first encounter Wright on death row when he's persuaded by the terminally ill cancer ridden scientist Helena Bonham Carter to donate his body to science in order to possibly receive a second chance to do something good with his life rather than his prior evil. 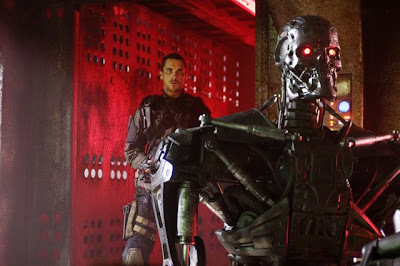 As we flash forward to the year 2018, fourteen years after the Terminators housed at Skynet's artificial intelligence conglomerate became self-aware and led to the nuclear holocaust of Judgment Day-- we run into not only the solider John Connor (whom some of his military superiors feel is a false prophet as he's unwilling to accept orders to kill humans for the "greater good" in trying to wipe out Skynet) but also Wright having suddenly awoken in the midst of the war-torn planet. 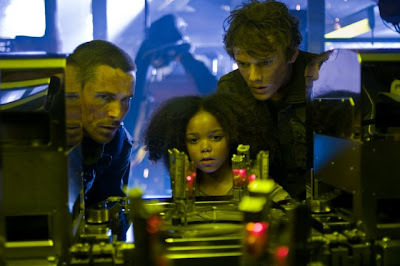 As Wright finds himself striking a fast alliance with the sharp, quick-on-his-feet resistance fighter Kyle Reese (Star Trek and Charlie Bartlett's Anton Yelchin) and a young girl named Star that Kyle is protecting in their makeshift family as two more freedom fighters sans a sophisticated network-- they all try to get in touch with John Connor. Frequently, they hear Connor's voice on the radio commanding other remaining humans to keep up the resistance and take on the Terminators who predictably swoop in unexpectedly to kill or kidnap humans in a few scenes that directly seem like they're mimicking the holocaust with a crowded container filled with petrified, malnourished humans. Providing the testosterone fueled series with a much needed strong female character, the screenwriters deliver us Blair Williams (Moon Bloodgood)-- a tough as nails fighter pilot not above snuggling with Marcus Wright for the comforting sound of a heartbeat and body warmth before-- of course-- more violence ensues. Inexplicably given a rating of PG-13 rather than R (although it falls somewhere in between)-- while it is definitely less gruesome or gory than some of the effects in T2-- it's still a hilarious example of how subjective and nonsensical the MPAA system is since the film will no doubt be far too intense for young teens. While the excellent production values and score by Danny Elfman (in tandem of course with that original great theme) are impressive as was Worthington-- it was the camera work that was particularly inventive in its use of hand-held cinematography so that we feel like we're spinning in an out of control helicopter or slamming into a vehicle made all the more visceral with its dark color palette and grayish color scheme. 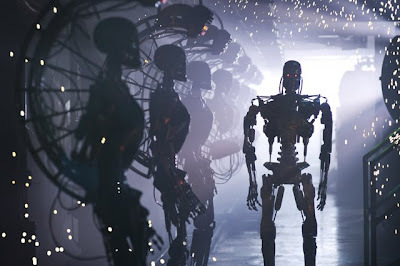 Yet in the end and other than a hell of a lot of great sequences for those involved in the CG, cinematography, and editing departments to put on their respective "reels" of past work, it's a Terminator that doesn't add anything new to the franchise. In fact, in the debate of to sequel or not to sequel preparation, it's one that damn near requires your complete understanding of the entire mythology (especially the first movie) before this one even begins to make sense. So thereby Salvation ultimately confuses more than it needed to by adding Back to the Future layers onto it (especially in regards to John Connor meeting his teenage father Kyle Reese and we realize with dismay just how boring Connor becomes as though he's a Terminator himself). Mainly, it feels as though it's trying build a new spin-off of future tales for Reese that will then circle back to the first film and subsequent installments in a bizarre modern day prequel, sequel conundrum a la Star Wars. So all in all-- while it was a definite disappointment, it's still one that I didn't hate as much as most of my colleagues (many of whom are still ridiculing it forty-eight hours later)-- as I even got a few definite kicks out of the action scenes that had me pulling out the requisite ear-plugs within the opening ten minutes. 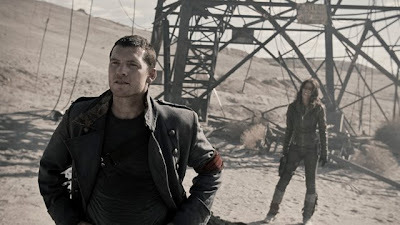 However, it was a pointless retread so to return to the opening thesis in the case of Terminator Salvation, basically to sequel or not to sequel should be answered with a resounding "not." Thus, please go ahead and just break the "I'll be back" promise while we all enjoy T2 once again instead.